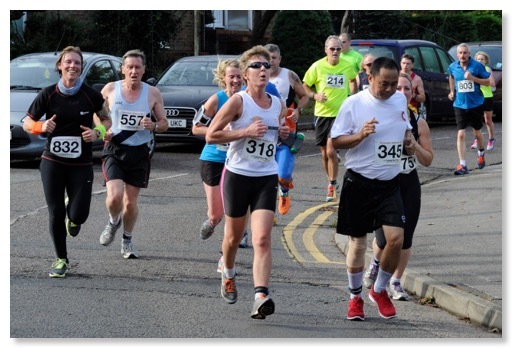 I shot all of my photos of the 2014 Ashford 10k race from a point in Lees Road, about 2k from the end of the race. Despite it being frantic work at times, as ever, I tried very hard to get a good shot of everyone taking part. Inevitably, I missed a few runners who went past me in a large pack, or hidden behind someone else. I estimate that this amounted to no more than five or six people on this occasion, though. My apologies if I did miss you, however. Next time! I have put 854 photos from the race online. Click here to see them. If you want to order a photograph from me, contact me by e-mail. There is a link to my e-mail address at the foot of every page of my web site. Tell me the file number of every picture you would like to buy. If you want a print, please remember to tell me your postal address. I will give you payment details when you contact me. You will be able to pay me by PayPal or by cheque. All money raised will be divided between two charities of my choosing. Thank you. I hope you enjoy the photos.